American writer of Scottish descent. He grew up in New York, then a town with only 25,000 inhabitants. In 1809 he published a history of the city titled "A History of New-York from the Beginning of the World to the End of the Dutch Dynasty, by Dietrich Knickerbocker" in which he satirizes pretentious historians. Irving had also started to study law, but when his beloved Matilda Hoffman died in the same year of tuberculosis, his already delicate health was damaged further and his parents sent him abroad. He travelled through England, the Netherlands, France and Italy. In 1823 at Dresden, he was infatuated with Emily Foster, the granddaughter of a British count. In 1824 he met Mary Shelley in England, but despite the efforts of his friend John Payne he didn't fall for her. In England (where he spent several years in Liverpool because of the business of his brother) he met many famous writers. This inspired him to continue his own writing. Sir Walter Scott helped him to publish his "Sketch Book", for which he received 2,000 pounds. The Sketch Book made him famous and he published more sketches in "By Geoffrey Crayon, Gent." (1822)" and "Tales of a Traveller" (1824). Unfortunately the latter work was received very badly, causing Irving to stop writing fiction. From then on he wrote mainly history and biography. From 1826 to 1829 he lived in Madrid and Sevilla and wrote "Life and Voyages of Columbus" and "A Chronicle of the Conquest of Granada". From 1829 to 1831 he worked as a diplomat in England. In 1832 Irving returned to America. He bought and old house and surrounding land near Tarrytown, north of New York that he called Sunnyside. 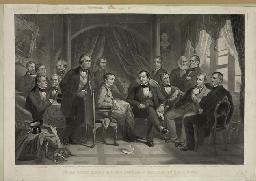 From 1842 to 1846 he served president John Tyler as minister to Spain. Afterwards he returned to Sunnyside to write his monumental "Life of George Washington". This work contained five volumes and the last volume was published a few months before his death in 1859. 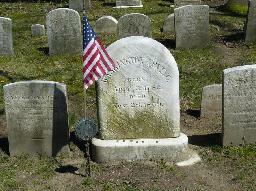 The grave of Washington Irving at Sleepy Hollow Cemetery, Sleepy Hollow, New York. 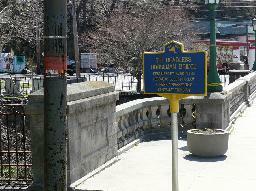 The Headless Horseman Bridge was once located here in Tarrytown.